NO, the title of today’s entry does not refer to me or anyone I know. Except maybe in the “biblical sense” of the word. Today I’m using my blog to share with you an excerpt from a book written by a friend, “What’s In It For Me? Finding Ourselves in Biblical Narratives.” Now, before you roll your eyes or start thinking I now believe I’m on a mission from God, or that this is an advertisement for Christianity, bear with me: no, I’m no missionary and this is the farthest thing from an ad for the Church. It could be construed as an ad for my rabbi. As you may know, I’m not Jewish except for that part of me that I share with every New York native in which I know just enough Yiddish to have a conversation with my bubbe, and my license to use the word, “Oy” is still valid. I am married to a Jewish woman, 18 years next month, which is a very lucky number in Judaism. “Chai” it’s called, and that’s pronounced “ZSCHZCH-hi” as if you mean to spit, not in my direction if you don’t mind. And we are raising three beautiful children as observant Jews in the Reform tradition. Okay, except for my daughter (whose name is of Greek origin), the boys’ names are not so much Jewish. BUT there are Irish Jews, even in Ireland, and before we had children my bride and I visited just such a synagogue and were warmly received. I call him “my rabbi” even though I have no plans and never did to convert. I am Roman Catholic and continue to practice my faith, even if Church doctrine doesn’t recognize me as a Catholic in good faith — since I am transgender. I figure if Pope Francis can be so non-judgmental on gays and divorced Catholics, he might come around some day. Until then, my family is very active in our synagogue and have been since joining Congregation Beth Israel a decade ago. Rabbi Stephen Fuchs officiated at our youngest son’s brit, and has taught our two oldest in Hebrew School. He’s aware of both our interfaith marriage and that I am trans, and is one of my strongest allies and supporters. Our only disagreement in a decade was over an OpEd in which he opined that Hanukkah is a minor holiday “just like St. Patrick’s Day,” which triggered a blustery letter to the editor from me defending this significant day on the calendar of my Irish heritage (and our love of Hanukkah). Out of respect for each other’s views and in keeping with the tradition of reconciliation, we have allowed this gaping wound to heal. Now, on the Hebrew calendar we are approaching a time known to Jews as The High Holy Days, their most important and most solemn days of the year. First up is Rosh Hashanah, next week, followed by Yom Kippur, and the beginning of a New Year. It is a time of reflection for Jewish people, and since Jesus and his mom and dad here on earth were Jews, I figure it’s worth understanding even for Christians and others who revere Jesus. 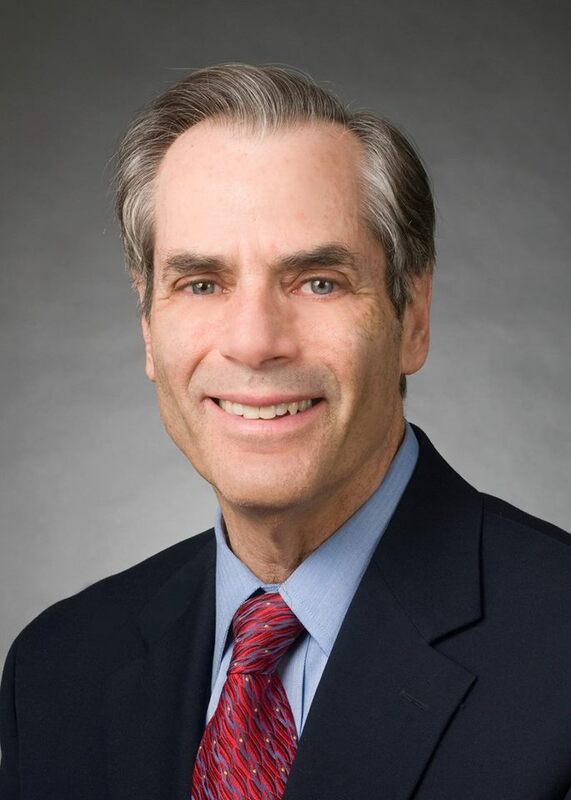 Rabbi Fuchs has been blogging excerpts from his book, now on sale on Amazon, and today’s entry is about what I have called The Worst Father of All Time. That is being heavy handed, admittedly, since Abraham did not in fact murder his son, he only planned to do so, and God knows a lot of parents have muttered something like “I want to kill that kid” at one time or another. But if not Abraham, who is the Worst Father of All Time? Here’s a guy who agrees to sacrifice his only son — a boy that he and his wife struggled mightily to conceive and bring into the world. I’ve been very strict with my kids but I can’t recall ever considering human sacrifice as an appropriate punishment. Close. But I am nothing if not a typical Irish hothead who blows her top and then cools just as quickly. So take a few minutes as Rabbi Fuchs takes us through the Torah or Old Testament story of Abraham and Isaac, and think about why something like this is even in the bible. It sounds about as relevant as the legalization of polygamy in the time of Moses. But you might see things differently after reading this excerpt which also includes the tragic story of a young British singer who fell from the height of stardom to poverty, self abuse and ultimately, death. The rabbi begins with an introduction from Europe, where he and his lovely wife are spending ten weeks as he gives talks and tours Germany. Thanks! As I sit here in Germany, site of the horrific human sacrifices that forever changed the course of our people’s and all of human history during the Shoah, I think of the story of the Binding of Isaac (Genesis 22) that we read in a few days from the Torah on Rosh Hashanah. I feel many people completely misunderstand the story’s vital message. 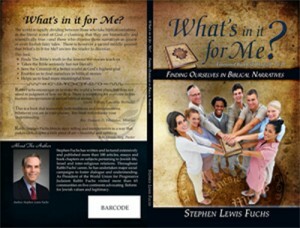 I hope this excerpt from my just released book, What’s in It for Me? Finding Ourselves in Biblical Narratives enables the story to speak directly to us. Perhaps Scripture’s most puzzling and profound stories is the near sacrifice of Isaac. How, we wonder, could God ask such a thing? How could Abraham agree? Why does Abraham, who stood up to God and protested mightily on behalf of the strangers in Sodom and Gomorrah, not object when God instructs him: “Take your son…whom you love, Isaac, and offer him as a sacrifice on one of the heights that I will point out to you” (Genesis 22:3). The answer is that after his argument with God over Sodom and Gomorrah Abraham knew God was just and knew that he could trust the Almighty even when God asked him to do something seemingly unthinkable: Sacrifice his own son. Some interpreters assert that by taking Isaac to Mount Moriah, Abraham failed God’s test. Others opine that while he might have been a great religious leader, he was a failure as a father to Isaac and a husband to Sarah. How else, they ask, could a good man be willing to sacrifice his own son? I contend, respectfully, they miss the point. Human sacrifice was the principal scourge of the pagan world to which the new covenantal religion objected. The new religion that evolved into Judaism completely rejected human sacrifice. It is that horrific practice, which, I submit, the story of the Binding of Isaac decries. In beckoning Abraham to Mount Moriah to slay his son, but staying his hand, God sends a message that humanity still struggles with today. No civilized religion can accept human sacrifice in its name. From the ancient world out of which the covenant emerged, to the Spartans of ancient Greece, the Incas, Aztecs, Mayan, and Hawaiian civilizations of other hemispheres, pagan religion has always involved human sacrifice. Indeed, a serious student of the Bible understands that the perceived efficacy of this horrific form of human behavior was difficult to uproot from the mindset of the ancient Hebrews as well. No fewer than fifteen times does the Hebrew Bible protest human sacrifice or cast it in a shameful light. Does a parent ever tell a child not to do something fifteen times when the parent has no worry whatsoever that the child will do that thing in the first place? Of course, not! No biblical story illustrates how difficult it was to convince our ancestors that human sacrifice was an abomination better than the story of Mesha, King of Moab (ca. 850 BCE). Mesha had paid tribute to King Ahab of Israel, but rebelled after Ahab’s death. In the ensuing battle, the Israelites were routing the Moabite forces until (in the words of the Israelite biblical author), “Seeing that the battle was going against him, the King of Moab…took his firstborn son and offered him up on the wall as a burnt offering. A great wrath came upon Israel, so they withdrew from him and went back to their own land” (2 Kings 3:25-27). The point of this amazing story is that the biblical author clearly believed that Mesha’s act of human sacrifice is what turned the tide of battle in his favor. When we evaluate the revolution in human thought that the God of the Hebrew Bible represents, I contend that the absolute rejection of human sacrifice is even more significant than the insistence on one God as opposed to many gods and the rejection of idol worship! Critics of Abraham’s behavior in the story of the Binding of Isaac point out that God never again addressed Abraham directly after the incident. So what? This does not change the reality that Abraham remained God’s active covenantal partner until the end of his days. His acts of covenantal responsibility at the end of hislife were every bit as significant as those earlier in his covenantal career. Why did God ask such a thing of Abraham? And why was Abraham willing to do it? God and Abraham had a unique relationship, which illustrated a brand new way of experiencing God to the world. Unlike the pagan gods, God in the Torah is not simply a force to appease. Rather, God is the source of moral and ethical values that brought a much higher level of civil thinking to the world. One of the vilest aspects of the pagan world was human sacrifice. It is befitting, then, that God and God’s unique covenantal partner, Abraham, should present a dramatic demonstration to the world that human sacrifice should never occur. That is why God could ask Abraham to do the unthinkable. That is why Abraham, who protested so forcefully for the sake of strangers in Sodom and Gomorrah, so willingly complied with God’s request. Suppose for a moment a parent called me and said, “Rabbi, you will not be seeing Petunia in religious school anymore because this morning, God told me to take her to the mountains and offer her as a sacrifice.” Naturally, I would do everything possible to convince the parent that the voice he or she heard was not that of God. Moreover, I would do everything, including notifying the police, to stop him or her from doing this. Of course, the scenario I just proposed is absurd. Nevertheless, we have yet to learn not to sacrifice our children. It happens all the time. It happens each time we send our children to fight wars over conflicts that could better be settled by negotiation. It happens each time we force our children into pursuits or professions to satisfy our own ego’s needs. It happens every time we overwhelm our children with pressure to succeed, never letting them feel that they are good enough. The great British entertainer Lena Zavaroni (1963-1999) is a case in point. Born on the tiny Scottish Isle of Bute, Lena Zavaroni was an amazing musical talent with a magnificent voice and boundless charisma and charm. As a little girl, her aunt whisked her off to London to pursue fame and fortune. She achieved both in spades. By the time she was ten years old, she had appeared on The Johnny Carson Show, toured Japan, and sung for Queen Elizabeth and President Gerald Ford. By the end of her teenage years, she had starred in three successful British TV variety series. She was the highest-paid entertainer in the United Kingdom. View her YouTube video clips. She was amazing. Ah, but when she was still a young girl, people began to tell her that she looked a bit pudgy. To make a long, sad story short, Lena Zavaroni⎯once the richest teenager in the world, adored by millions⎯died broke and penniless from complications of anorexia at age thirty-five. Beautiful, precious Lena Zavaroni was every bit as much a human sacrifice as Jephtha’s daughter (and the rabbis of the Midrash condemn Jephtha as a fool) in Chapter 11 of the book of Judges. Every time I watch her sing, I want to reach into the computer screen, hug her and promise, “I won’t let anyone hurt you!” But it is a promise I could never make, let alone keep. And Lena Zavaroni, who appeared thinner and thinner with each passing year of her young life, is just one of millions of examples of horrific human sacrifice we have offered throughout the centuries and continue to offer today. Yet many contemporary rabbis and others bemoan the fact that God asked Abraham to sacrifice his son. They just don’t get it! They just don’t get that God and Abraham tried to teach the world a vital lesson⎯a lesson we still have not learned. Thank you, Dawn. I am VERY touched!